Electrobombas There are 9 products. 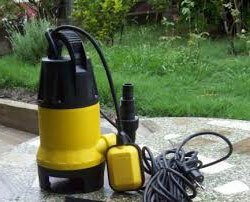 Unlike other water pumps gasoline or diesel, electric pumps water serve as an electric motor to operate. The functions are virtually the same and, depending on whether the drain or transfer are made from outside the water or from within the same, we can divide the types of electric water pumps surface pumps and submersible pumps. The fundamental difference between these two types is that the first priority outlet pressure while limiting the suction height instead submersible water pumps extract more flow prioritized at the expense of lower pressure. How to choose an electric pump? Within the range of surface electric pumps, depending on the size of the turbine, we centrifugal pumps and peripheral pumps. Peripheral usually the smallest turbine offers lower water flow but increased pressure, while the centrifuge is reversed. On the other hand, submersible electric pumps are able to dive to several meters deep, to efficiently extract water and impelling height. A key aspect to consider when buy electropumps is the kind of water which will operate, commonly differentiated in clean water and dirty water, since it is not the same electric pump directed to irrigation another designed for draw water from a well which may contain solids. In Bricolemar you can find a wide range of electric pumps water either to empty pools, watering crops and gardens (clean water) or vacating septic tanks (sewage), in its various versions and forms, and always at the best prices.